1.1 DFL Deutsche Fußball Liga GmbH, Guiollettstraße 44-46, 60325 Frankfurt/Main, Germany, ("DFL") conducts an online competition on DFL’s English-language official account at the social media platform Instagram("Competition"). Participation in the Competition and how it is conducted are governed by these Terms and Conditions ("Ts&Cs"), which the participant ("User") recognizes as binding upon the User by participating in the Competition. 1.2 The Competition will be conducted from 6 April 2018 until 15:30 (CEST) on 5 May 2018. Any entries received after the beginning of the Bundesliga matches on the respective Saturday afternoon at 15:30 (CEST) will not be considered. 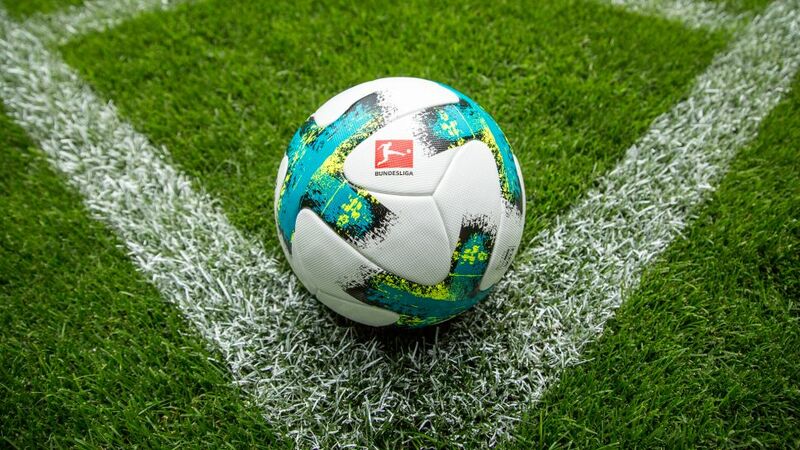 1.3 Users can participate in the Competition by commenting on DFL’s Instagram post about the respective Bundesliga matchday with a guess how many goals they think will be scored in the upcoming Bundesliga matchday. All Users with the right guess will go into the weekly draw to win one of three unsigned Bundesliga Club jerseys and one of three official Adidas Bundesliga TorFabrik per matchday. If DFL does not receive any right guess, all participating Users will go into this draw. 2.1 Only individuals who have reached the age of 14 years are entitled to participate in the Competition. 2.3 The User is responsible for the observation of Instagram’s guidelines and rules which are applicable on the User. 2.4 Any false personal information provided by the User authorizes DFL to exclude him or her from the Competition. Employees of DFL and companies affiliated with DFL within the meaning of §§ 15 et seq. German Stock Corporations Act (Aktiengesetz, "AktG") and the DFL Foundation, employees of licensees, partners and sponsors, contractual partners as well as the respective relatives of these employees are excluded from participation. DFL can demand return of a prize that has already been granted in all the above-mentioned situations. 3.1 The weekly prizes are limited to one prize per winner; multiple winning is possible during the whole Competition. 3.2 The weekly winners will be drawn until the following Wednesday of the respective Bundesliga matchday and will be notified within 14 calendar days by private message on Instagram, as well was by being mentioned in the comments of DFL’s Instagram post about the Competition. The respective winner is required to contact the DFL within two weeks after the notifications have been sent. If the respective winner does not do so, the respective prize will be forfeited and an alternate winner will be selected at DFL’s sole discretion. 3.4 In the event that a prize is redeemed through retailers or other providers, DFL is entitled to share the contact data of the respective winner with the respective retailer or provider so that they can contact the respective winner. 4.1 The respective winner consents to publication of his or her Instagram user name, first name and the first letter of his/her surname, as well as the country in the official tele-media and social media of DFL. 4.2 After having received the prize, DFL would like the respective winner to do an Instagram post which DFL would like to repost on DFL’s official Instagram account. The respective winner confirms that he or she has taken the uploaded photo and that the photo does not violate intellectual property rights or moral or other general or other rights of third parties. Furthermore, the User will make sure that all persons who might be pictured in the photo have consented to the use and have waived all rights to the pictures, videos or other media. If the respective persons have not reached the age of maturity, the User must obtain the consent of a parent or guardian. 4.3 DFL will observe the provisions in the law on data protection and data safety. All data of the User will only be collected, processed and secured for the conduction of the Competition, and deleted afterwards, unless it has been publicly published by the DFL and/or the winner in accordance with these Ts&Cs. 5.1 DFL reserves the right to interrupt or shut down the Competition at any time without stating reasons. Especially reasons involving technology and/or legal matters, as a result of which the Competition can no longer be properly conducted, can be the basis for the end of the Competition. 5.2 The Competition is not connected to Instagram and is not sponsored, supported or organized in any way by Instagram. Instagram is not the contact person for the Competition. Questions regarding the Competition have only be addressed to DFL. 5.3 Legal recourse is excluded. Only the law of the Federal Republic of Germany applies. 5.4 Place of performance for the Competition is the registered office of DFL.